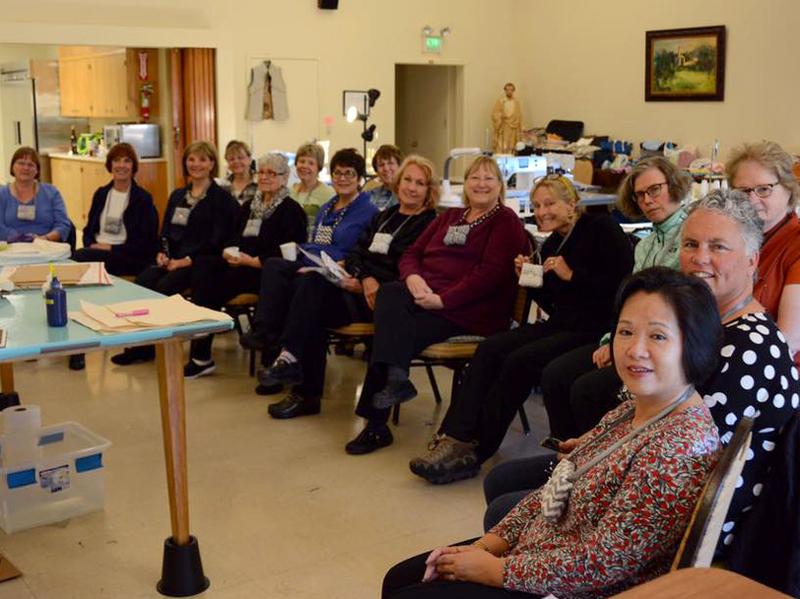 Everyone is happy to spend 5 sewing days with Jane Foster and each other. View the slideshow of this fabulous event! Throughout the week Jane had planned various activities as little sewing breaks. The weeks started with a sewing quiz and the winning team received a great prize. 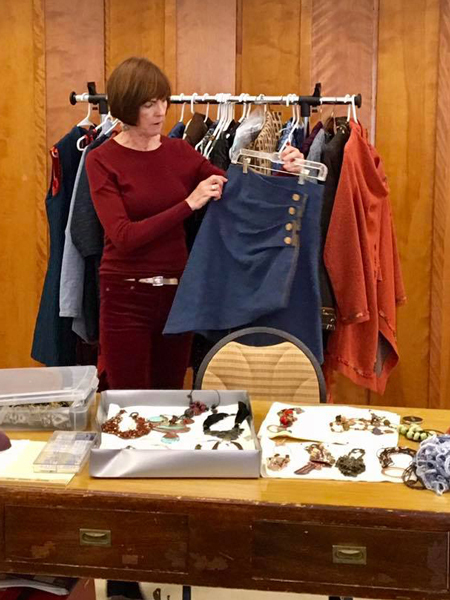 Then before lunch one day Linda and Bryson Sicard came and set up several tables covered with buttons for sale. They had buttons made out of various materials, and some were very unusual. While some of us thought we didn't need buttons, it was just too irresistable, and we all purchased some beautiful buttons. This was a fun break and everyone increased their button stash. 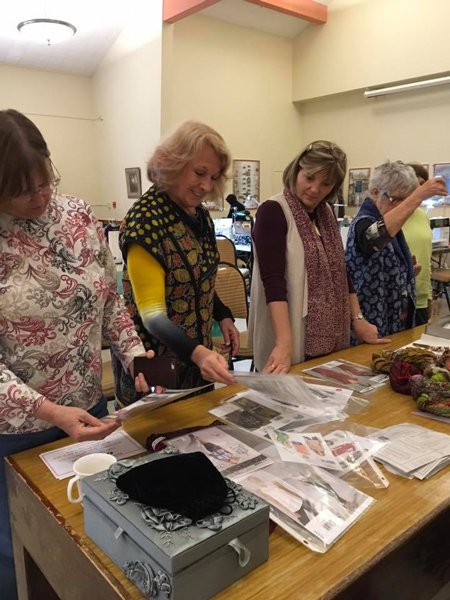 Jackie gave a short talk about thread one afternoon, and specifically about the different types of thread you could use in a serger or in the bobbin. She had many different samples. Thanks Jackie. Jeannie delighted us all with her style show and sense of humor. 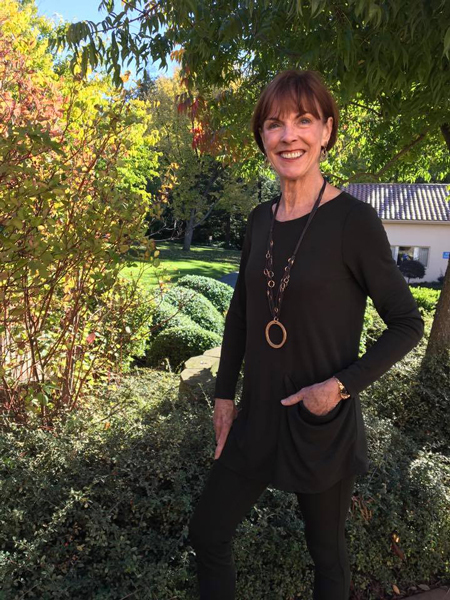 She has been sewing since she was a child, and came to Jane for help in not only couture sewing but in pairing patterns with fabric. 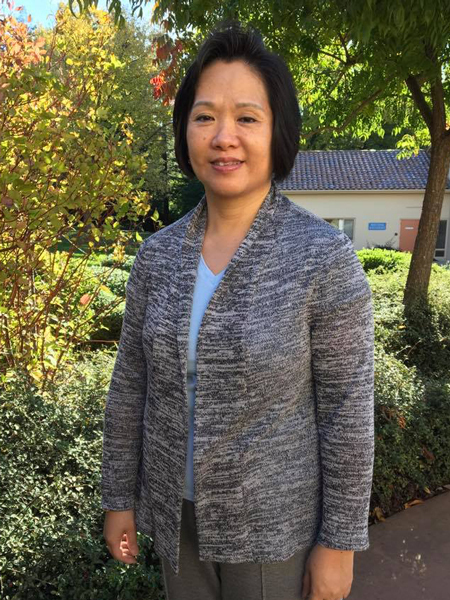 She talked about some of the things she felt did not work for her, and showed us many of her successes. 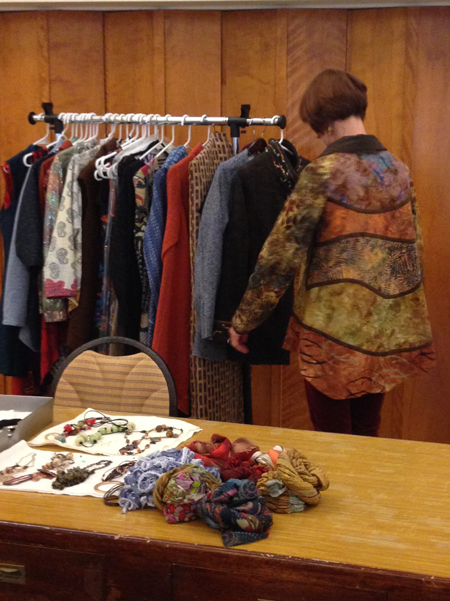 She also brought a number of the patterns she used for her garments, and that was interesting as well. 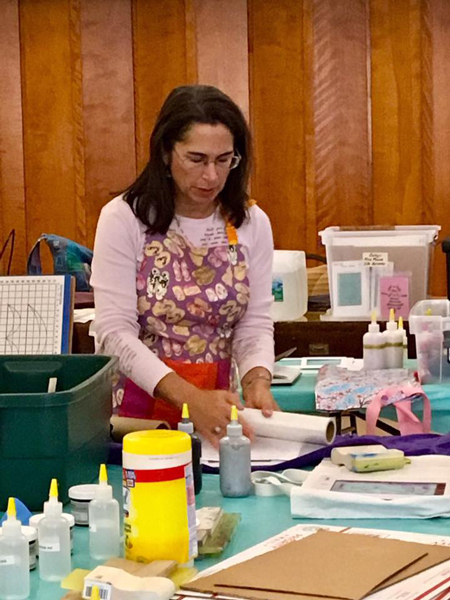 Sally set up tables for students to do stenciling. She brought dyes, paint, stencils, and everything needed for this project. The students only had to bring their fabric. Perfect!! Some students made samples, and some of them just went for it. 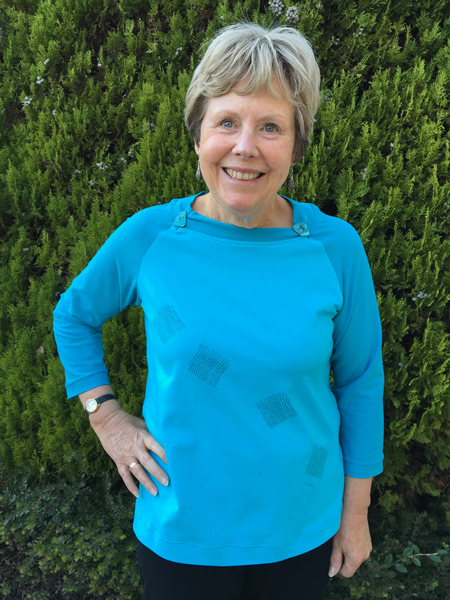 Robin loves her new blue tee with the stenciled front. 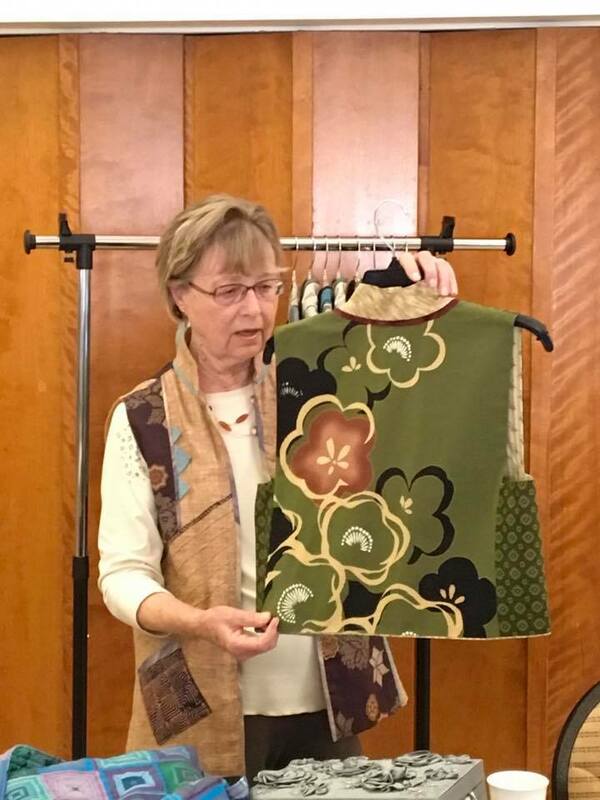 Barbara shared her journey in making vests, and showed us how she is currently making vests designed for travel. She has 5 pockets in some of the vests, including inside pockets and zippered pockets. 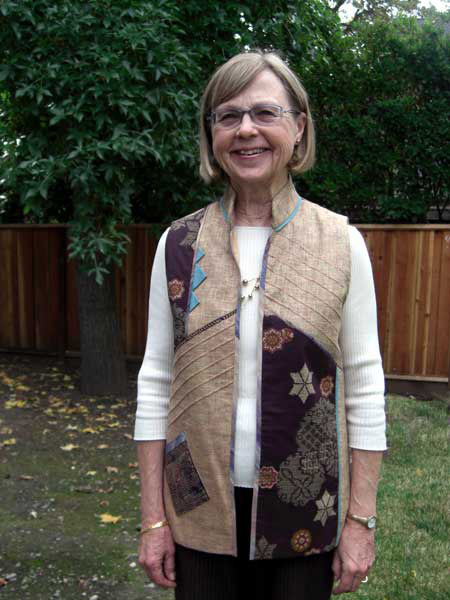 She has a great eye for coordinating fabrics and puts a lot of thought and detail into her vests. Everyone enjoyed looking closely at her work. Thanks Barbara. students were given a handout and muslin to make a sample for future reference. 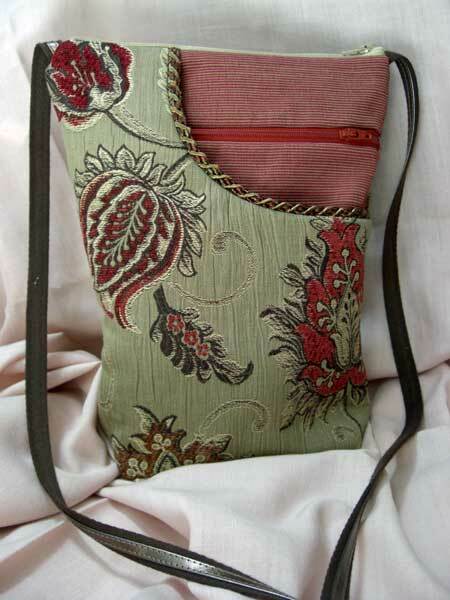 Jane gave out copies of the pattern for this 4 pocket purse. 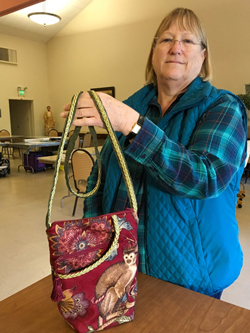 After a short demo, several ladies went shopping for fabric and made the purse. Click to view the slideshow of this fabulous event!